Imperial Tobacco has gone from just getting its feet wet in the electronic cigarette market to owning the world’s most successful e-cigarettes brand, after it acquired Blu Electronic Cigarettes from the newly-newly formed R.J. Reynolds-Lorillard tobacco juggernaut. 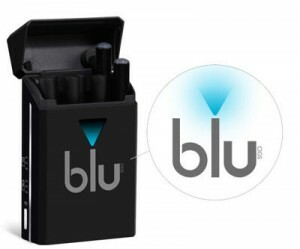 Blu is the currently the best-selling electronic cigarette brand in the United States, accounting for around 47% of the market. Established as an independent company, it was acquired by Lorillard in 2012, for $135 million. Taking advantage of the cigarette maker’s chain of distribution and seemingly-endless marketing funds, Blu’s sales grew exponentially in a very short time, to the point where it now controls half the e-cigarette marketing in the US. So when two of the world’s largest tobacco companies, R.J. Reynolds and Lorillard, officially announced their merger, everyone was surprised that Blu wasn’t included in the deal. Instead, it was placed on sale, and Imperial Tobacco snatched it, along with a few other tobacco cigarette brands, for a total of $7.1 billion. According to Susan Cameron, chief executive of Reynolds, their own e-cigarette brand, the VUSE, uses superior technology compared to Blu, and has been well received since it was first launched on the market, last year. It appears the new tobacco company wasn’t too confident that Blu can retain its leading position in an increasingly competitive e-cig market, and decided to focus all its efforts on what it believes is a superior product. This view was certainly not shared by Imperial Tobacco’s CEO, Allison Cooper. Although Imperial launched its own electronic cigarette, called Puritane, it could not resist getting its hands on the most valuable e-cigarette brand on the market. “It’s the perfect time for getting Blu,” Cooper told reporters during a conference call yesterday, and even though she declined to comment on whether Blu was pivotal to the $7.1 billion transaction, analysts believe that was the case. A source close to the deal talks told Reuters that Imperial Tobacco insisted Blu be included, along with Reynolds’ Kool, Salem and Winston cigarette brands and Lorrilard’s Maverick. After the recent acquisition, Imperial Tobacco has become the third-largest tobacco company in the United States, as well as the top player in the electronic cigarette market. Apparently, it’s also making plans to build on Blu’s reputation outside the US, as well. “When it comes to e-cigarettes, outside of the US, you haven’t got strong brands,” Allison Cooper said. “The opportunity is to start getting the technology right with a great brand.” Blu had already begun expanding into Europe months ago, when it acquired SKYCIG, one of the leading e-cig brands in the UK. Imperial Tobacco’s acquisition of Blu does seem like a winning move, but it’s also a bit strange. A few months back, we reported that Imperial was suing other tobacco companies, including Lorrilard, as well as several e-cigarette businesses, like NJOY, VMR Products, VaporCorp, Logic, FIN Branding, Victory E-Cigarettes and Blu, for intellectual property infringement. It had bought the original e-cigarette patents from Dragonite International, a Chinese company founded by Hon Lik, the man generally recognized as the inventor of the electronic cigarette, and was now seeking compensation. So why would they spend millions on an e-cigarette company that is allegedly still using their patents illegally?